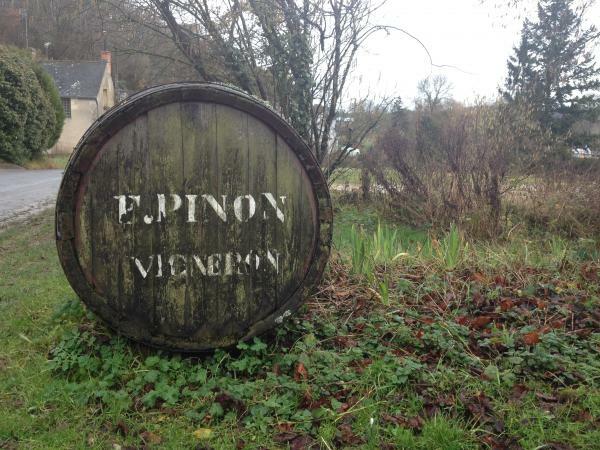 François Pinon isn’t a name you often hear mentioned in the same breath as Domaines Huet and Foreau but when you do, it’s often in the context of how Pinon’s wines are not only better but priced lower. The pricing issues have more to do with importer inflation (all three of these producers standard cuvées are virtually the same price in France for instance) but the quality and especially the style are something else. Pinon, in my mind anyway, is making a much more pure expression of Vouvray than the other two and the finest wine in the appellation. This is chenin blanc at it’s best. François, a former child psychologist, took over the domaine from his father some 30 years ago now and has really made a name for himself and the domaine. It doesn’t hurt that the vineyards are planted on some of the regions best soils, black flint and limestone in particular at Pinon, but his farming and winemaking is just a lot better than most everyone else. François is manic about plowing which is great for healthy soil but very hard work. He started converting to organic viticulture 15 years ago or so which is no easy way to farm in the Loire Valley. The humid weather and frequent hailstorms force many larger growers to rely on chemical anti fungal treatments in these conditions and accomplishing this naturally is really difficult but necessary for making great wine. Winemaking is meticulous and fairly non-interventionist with the use of native yeasts and neutral fermentation and aging vessels, stainless steel and old foudres here. The Cuvée Silex Noir, in reference to the black flint soil, is the flagship Vouvray produced by Pinon. This bottling really shows off the house style which is bright, expressive chenin of great depth and precision. You often see Vouvray labelled as Sec and Demi-Sec to indicate the residual sugar in the wine but when you don’t see any designation, it usually means it’s Sec Tendre, or “tenderly dry”. This is a bottling with a bit of residual sugar but when made well, the result is a very dry wine with high acid to balance the sweetness. The Silex Noir is a fantastic example of this style. Peculiarly, Sec Tendre is a designation that isn't allowed to appear on a bottle and Vouvray Sec isn’t necessarily dry. Go figure. In any event, this wine is almost startlingly dry to the palate with high acid, low (12%) alcohol and gorgeous fruit. 2014 is the best vintage in many years for the Loire Valley and it really shows in this wine. Floral, mineral and white fruit notes dominate the nose. Flavors of pear and lemon/lime fruit with a long, mineral inflected finish. These wines are capable of long aging but so enticing as a summer wine.